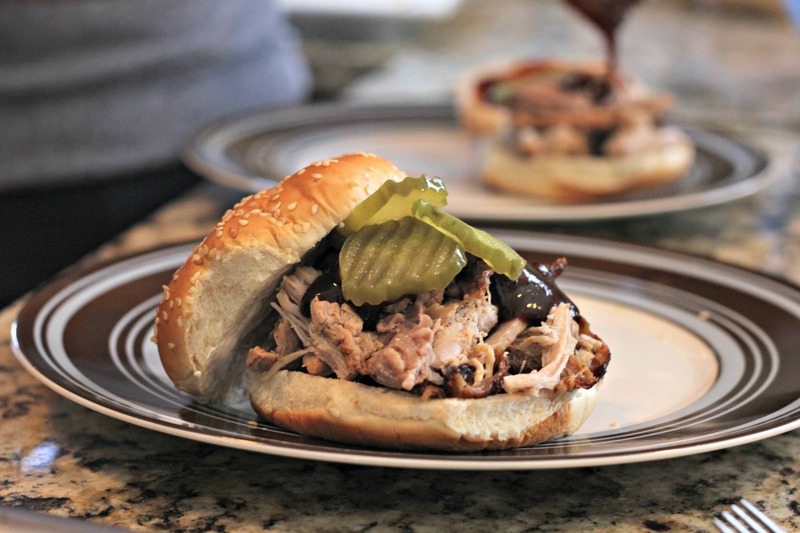 Today, the hubs and I had some fantastic pulled pork sandwiches. Now, please understand that we live in the state of Alabama. If there are two things that Alabamians are passionate about, it’s football and BBQ. Every little boy or girl in this state has to choose which team to pull for –Auburn or Alabama. And if they’re smart (and awesome) they’ll choose Auburn. Every Alabamian also grows up eating BBQ at joints like Jim N Nicks, Moe’s, Dreamland, Full Moon, and so many others. So when we say we had some fantastic pulled pork sandwiches, it has to meet a pretty high standard. Well today was the perfect, beautiful day for smoking some pork, and it turned out wonderfully. This is the first step, done the night before. We used a 4 pound pork shoulder because that’s already more than we need, but I’ve read that the 8-10 pounders with the bone still in it are actually sweeter. If you’re cooking for a ton of people, that’s the way to go. If not, just get a smaller one like we did. 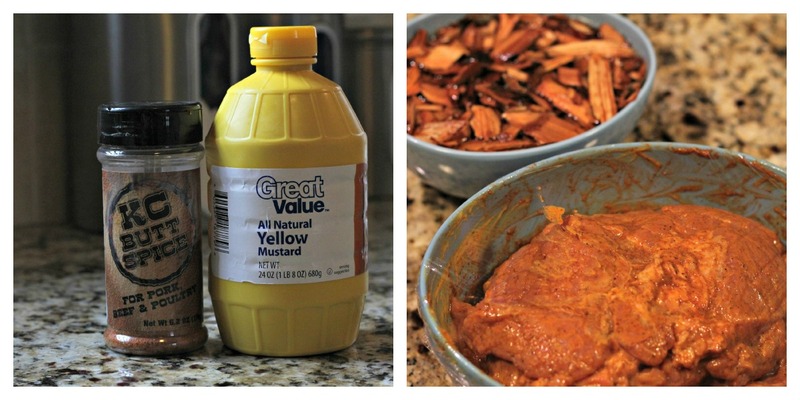 So first, take some plain yellow mustard and rub a layer of it all over the pork shoulder. Then liberally apply a rub to the meat, using your hands to work it into all the crevices. We had some pre-made rub that someone gave us, but there are TONS of homemade rub recipes online. Once your pork has been rubbed, cover it with saran wrap and put it in the fridge. 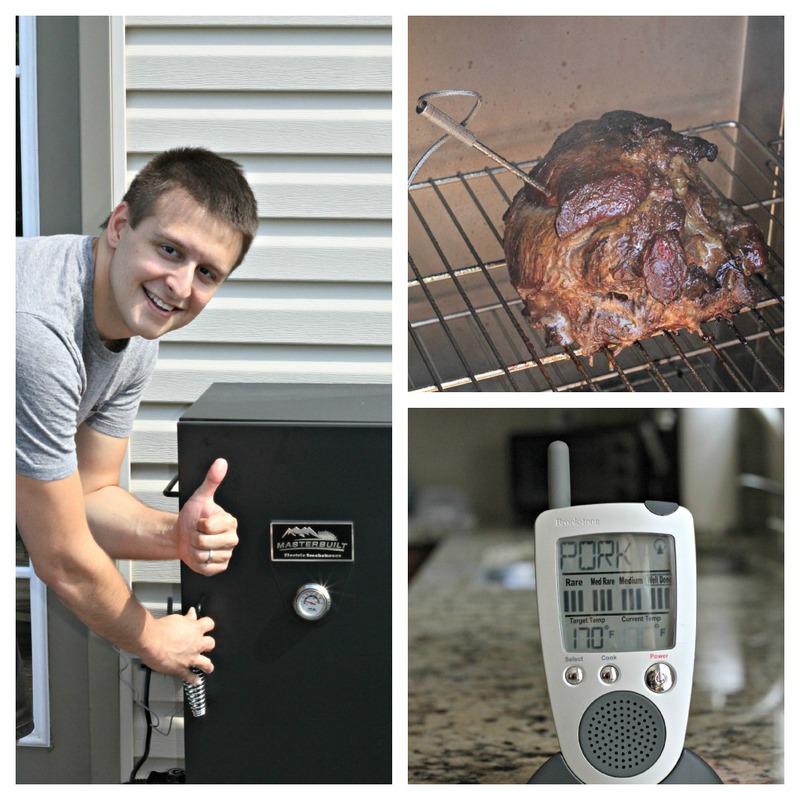 There are lots of different kinds of smokers, but ours is an electric smoker that uses wood chips. So we soak our apple hickory wood chips in water the night before for the most flavor. The next morning, we are ready to smoke. Set your pork out at room temperature for about an hour before you put it in. You will need a thermometer to tell you when your meat is ready. We got our thermometer at Brookstone, and it’s awesome. 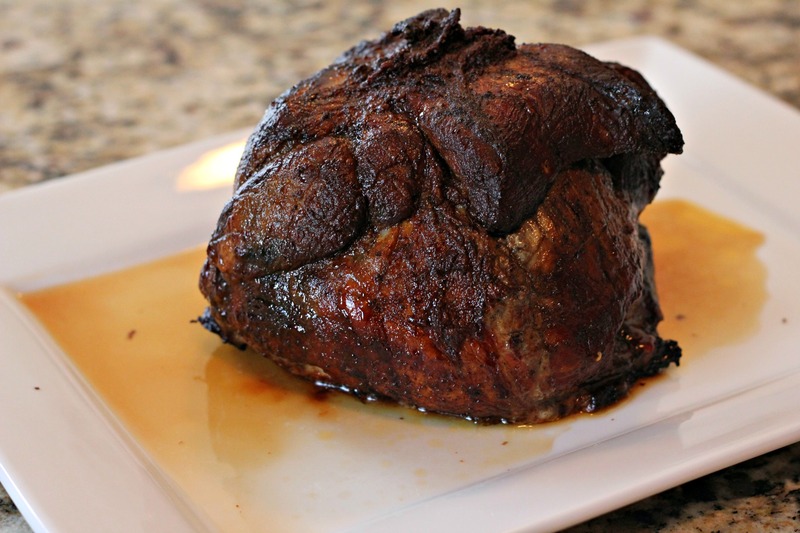 Smoke it at about 225 degrees, and estimate about 1 to 1 1/2 hours per pound for cooking time. Once your meat reaches about 190 to 200 degrees, take it out. This is about what it will look like. Then let it sit for about 45 minutes to absorb the juices. After that, you’re ready to shred! Just take a couple of forks and starts pulling. Try not to eat too much while you’re pulling it apart and save some room for dinner. It’ll be tough to resist though because its smell is intoxicating. We made sandwiches with ours, but it’s good plain too! 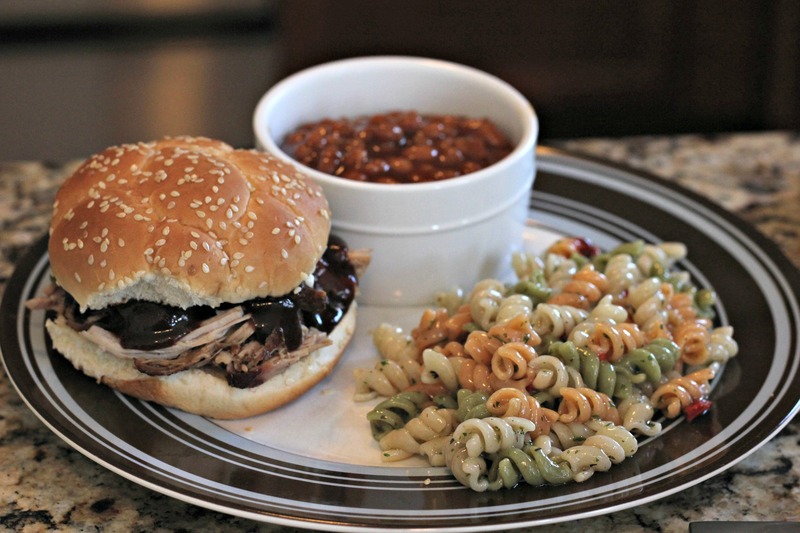 And a summer BBQ meal just isn’t complete without some baked beans and a cold pasta salad. Well there ya have it, folks! 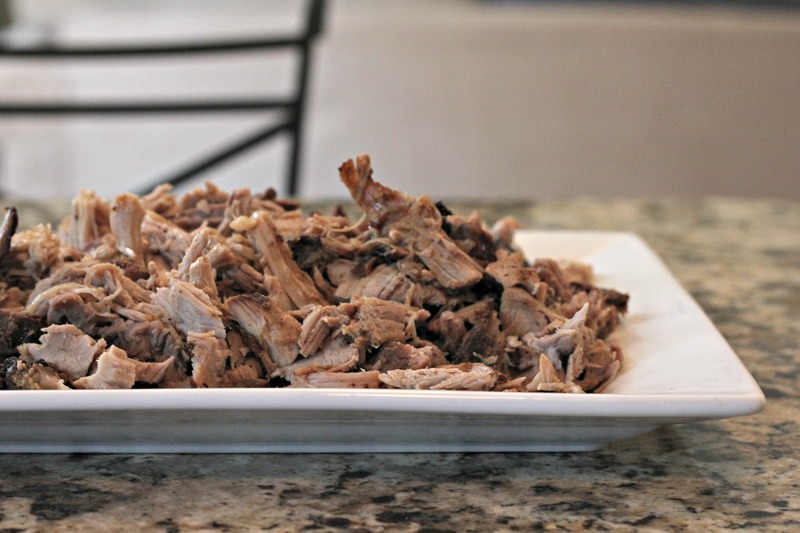 Pulled Pork from the smoker, just like the restaurants do it (or better). If you want some other great BBQ recipes and tips for using your smoker and/or grill, check out Griffin’s Grub or The BBQ Guy. There are lots of different methods to try! Are your trying to find Barbecue Recipes also? I absolutely enjoy this blog. So much great things. I like every style of barbecue, however my certainly best-loved is certainly Carolina Barbecue. But, a really good Texas Brisket creates a couple of the greatest barbecue recipes on the earth. I’m a searcher in a quest for the best barbecue! Are your looking for Barbecue Recipes also? I really love this blog. So much great meat. I like every type of barbecue, but my positively preferred is generally Carolina Barbecue However,, a really good Texas Brisket makes a few of the greatest barbecue recipes on the planet. I’m a searcher in a quest for the best barbecue! I’m so glad you like my blog! I honestly like all kinds of BBQ. Even though I’m an Alabamian, the Alabama white barbecue sauce is not my favorite I like the thick, sweet barbecue sauce that’s usually attributed to the Midwest But you’re right, Carolina BBQ and Texas Brisket are mighty good too!